As the Galeton Area Chamber of Commerce continues to grow and promote our area, we invite you to join us. Being a Chamber Member comes with many benefits. Your membership includes a free listing and provides a link to your website from ours at www.visitgaleton.com. An annual Shopping Guide and a Holiday Season Shopping guide are printed and distributed throughout the area. Our Chamber Bucks, which are available for sale and used like cash at member businesses make good gifts, employee incentives,etc, serve as one more avenue to promote local spending. Our events during the year include an Annual Chamber Dinner, Town-wide Yard Sales, the July 4th Parade, the Fall Festival and Christmas in a Small Town. Chamber members along with other volunteers from the community decorate the town with a Nativity Scene and place Christmas lighting in Centertown Park, on the Welcome to Galeton signs, and on the lamp posts around town. This combined with the Christmas Parade and the Galeton Lights on the Water celebration (GLOW) all contribute to the community's festive atmosphere during the holiday season. We encourage input from all members through attendance at monthly meetings which are held the 2nd Tuesday of each month at 7 p.m.in the meeting room at the Galeton Northwest Savings Bank. Any participation on the various committees is sincerely welcomed and encouraged. This is a great opportunity to network with other business owners and community members throughout the Galeton Area. 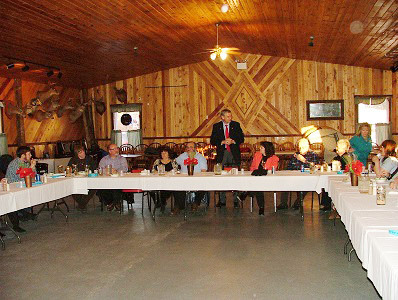 The Galeton Area Chamber of Commerce sponsors many events each year. We welcome you to become a new member or renew your existing membership and come out and join us, as together; we continue to promote our businesses, while striving to enhance the quality of life throughout the Galeton area!